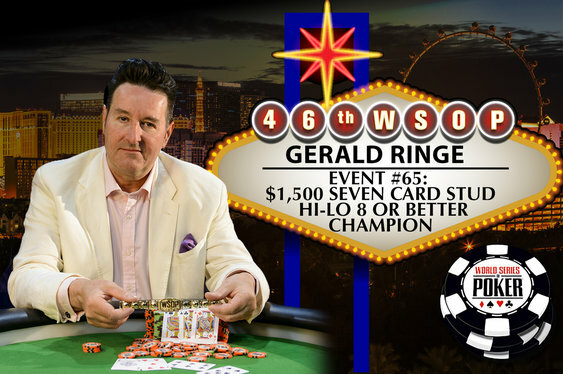 There was more British bracelet glory at this year's World Series of Poker after Gerald Ringe took down the $1,500 7 Card Stud Hi-Lo event on Sunday. The Londoner topped a field of 547 players to claim a first prize payout of $180,943 and a maiden WSOP bracelet. There was plenty of class on show at a final table that included bracelet winners John Esposito and recent $3k HORSE winner Daniel Idema. None could match the dapperly dressed Englishman though who dominated the finale. Poker isn't even a full time occupation for Ringe whose day job is in the property industry. He's no stranger to London's high stakes games though and is a regular in the mixed game action at the Vic.